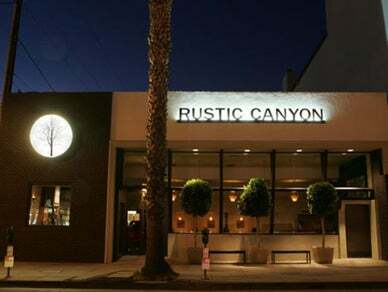 Rustic Canyon Wine Bar and Seasonal Kitchen is a neighborhood restaurant and wine bar located in Santa Monica. The regularly changing menu consists of Farmers' Market-inspired dishes along with a unique selection of boutique wineries from around the world. Rustic Canyon offers twenty options by the glass that rotate on a regular basis and an expanding list of small production offerings by the bottle.